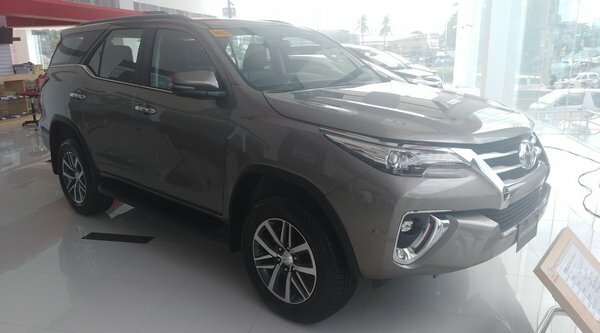 We feature 2018 Toyota Fortuner diesel automatic - the popular Toyota’s midsize SUV in the Philippine market. Hi good day. 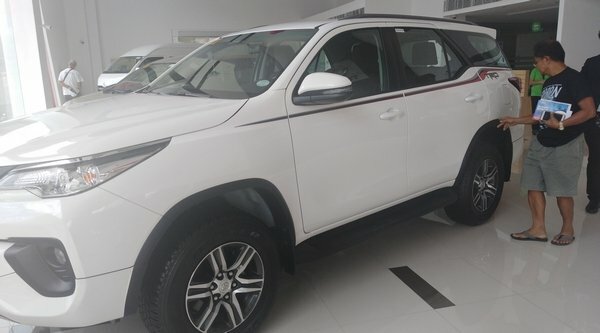 Please give some advice and thought regarding the diesel-powered Toyota Fortuner 2018 2.4L 4x4 A/T. I prefer to buy the gas over diesel variant, but most of the variants in the Philippine market come in diesel, only one for gas and that is the base model. 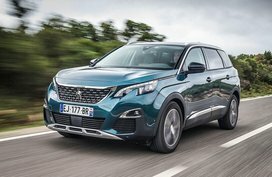 Are there any issues I might deal with regarding a diesel car after some time, let’s say 5 years? I’m hoping to hear back from you soon. Thanks and more power. To start off, let’s take a closer look at this midsize SUV. Only on its second generation, the Fortuner has undeniably made quite a splash in the local SUV market. It has largely found appeal with families looking for a sizeable and capable vehicle with respectable passenger and cargo space, more affordable than a Land Cruiser, and with legendary Toyota reliability to boot. 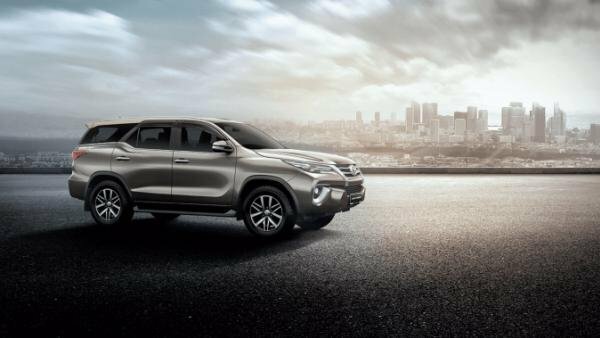 Along with the Hilux pickup and the Innova MPV, the Fortuner forms the Toyota Innovative International Multi-purpose Vehicle (IMV) triumvirate; vehicles falling under this category share a common platform i.e. either rear-wheel or four-wheel drive, longitudinally-mounted engines and similar suspension setups. 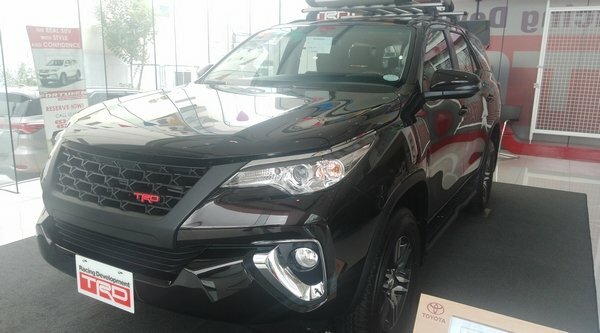 Japanese and Thai engineers teamed up to develop the first-generation Fortuner in Thailand, which somewhat accounts for its relatively compact shape despite its size, and it was launched in 2005, nestled just above the RAV4 and below the Land Cruiser. 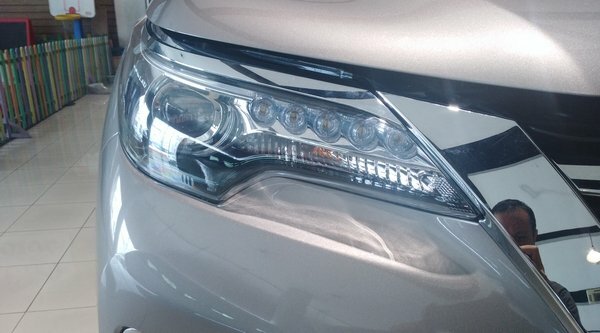 The first facelift came in 2008, which saw the Fortuner earning upgrades such as projector headlights, Bluetooth connectivity and third-row airconditioning. A more extensive rework would follow in 2011, with this version having slightly longer dimensions and a completely revised front end, as well as receiving a new Variable Nozzle Turbo diesel engine. 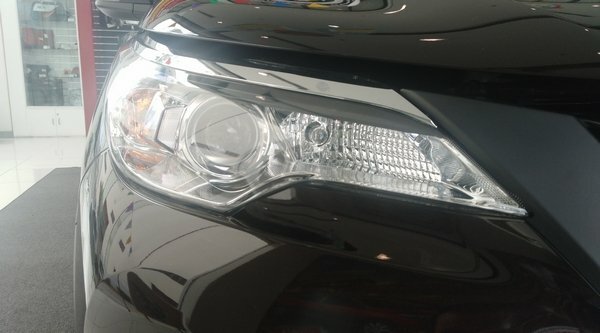 For the second generation Fortuner, it was Australia’s turn to take a shot at designing and engineering the vehicle. 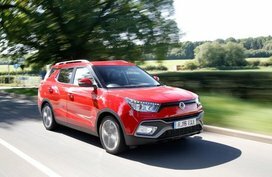 And the result inside and out was certainly stunning, to say the least, similar to the transformation that benefited its rival Everest model from Ford (whose latest iteration was also the handiwork of Aussies). 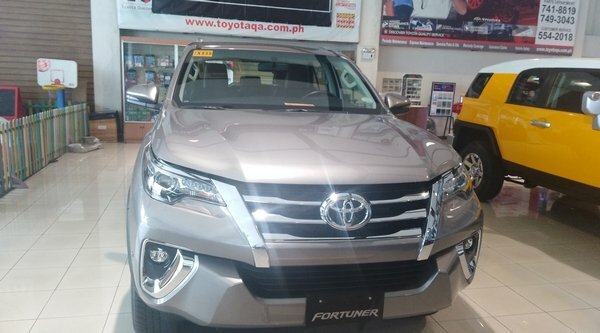 As with the previous edition, the current Fortuner is offered in G and V flavors, with a selection of either two- or four-wheel propulsion between diesel and gasoline engines, the latter being limited to the base variant. I did mention that the current Fortuner looks stunning compared to the previous incarnation, and one look explains why. Probably the most striking is the front end, featuring a larger grille bordered by twin chrome inserts sloping down in a V formation, and bookended by narrower, more aggressive headlights (halogen projectors on the G models, bi-beam LEDs on the V variants). 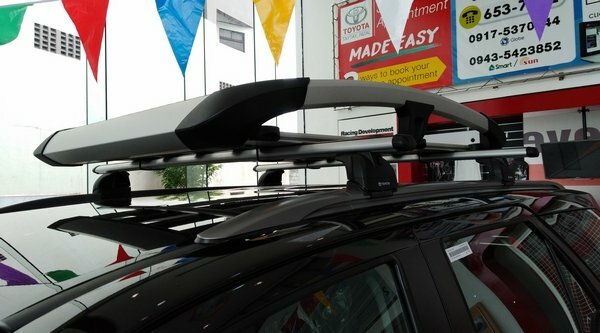 The whole fascia seems to be influenced, as with most vehicles in Toyota’s lineup, by the Furia Concept which formed the basis of the current generation Altis; Toyota calls it Keen Look and has applied it on practically everything from the Hilux, the RAV4, the Yaris and the Innova. It lends a sportier character to the Fortuner, and helps offset the slab-like high body design it retained from the first generation. 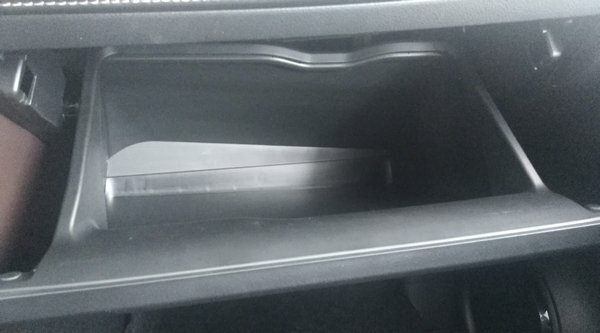 The window sills were also redesigned, now heading straight to the rear from the Fortuner’s A-pillar. It rises dramatically just after the second row windows and the C-pillar, which was also redone from a body-colored panel on previous units to a stark black, giving the illusion of a continuous wall of glass, giving the Fortuner a cleaner and sleeker aesthetic. At the rear, Toyota managed to make it look more organized with a pair of LED taillights that seem to echo the headlight’s elegant and streamlined shape, a far cry from the four-halogen array on the old version. Similar to the current generation Hilux, the Fortuner’s generous approach angle reminds me of a boat’s prow for some reason. The better for either of them to easily cross a substantial depth of water I guess, especially during the rainy season when city streets are susceptible to flooding. 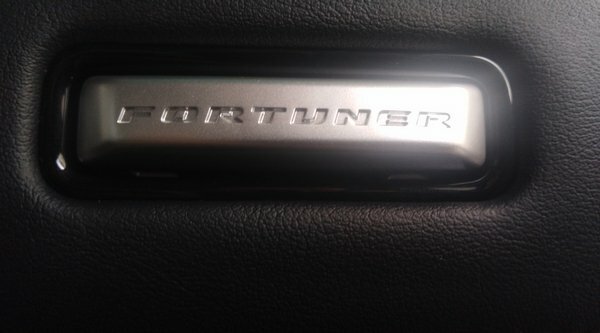 Now, have a look at more images of the Toyota Fortuner. 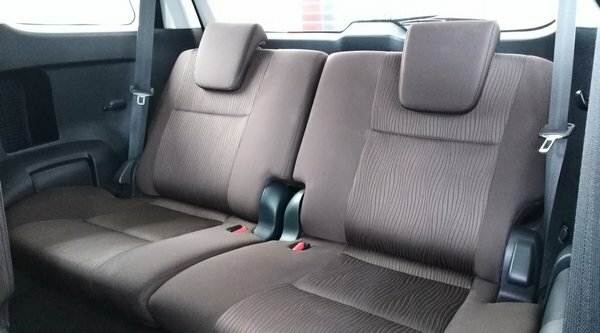 For the most part, the G and V variants have identical interiors, the most obvious difference between Toyota Fortuner V and G is that the former is draped with leather by default while the latter comes with fabric seats.The top-spec V variant also includes an extra switch right beside the USB/AUX IN port, to activate the front and rear parking sensors. A leather-wrapped steering wheel is standard across the Fortuner range, and has both tilt and telescopic adjustment so you can find your optimal driving position. 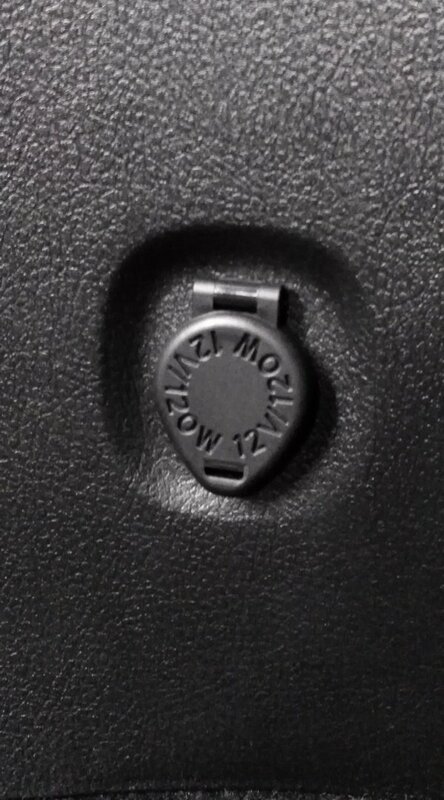 Audio controls are mounted on the center of the wheel as well, so you won’t have to fumble with your phone during incoming calls (and avoid violating the Anti-Distracted Driving Law). 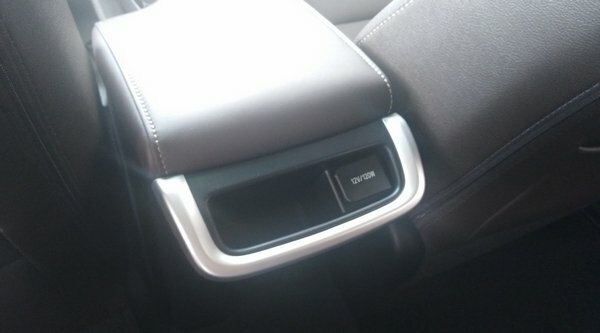 Fortuner V variants get a 6-way power adjustable driver’s seat, while the G makes do with manual adjustment. 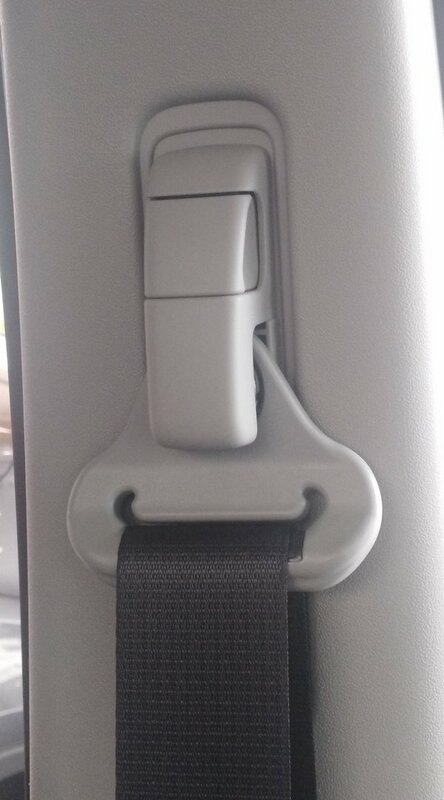 There’s also height-adjustable seatbelts for front occupants, in case the driver or the front passenger tends to be on the tall side. Seats on the second row are of the 60/40 split fold variety, with the “jump” seat on the right side, as is common on LHD countries like the Philippines. 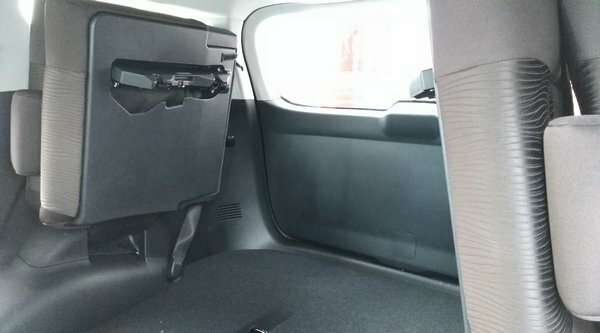 Both headroom and legroom are sufficient, with all three occupants benefiting from seatbelts. 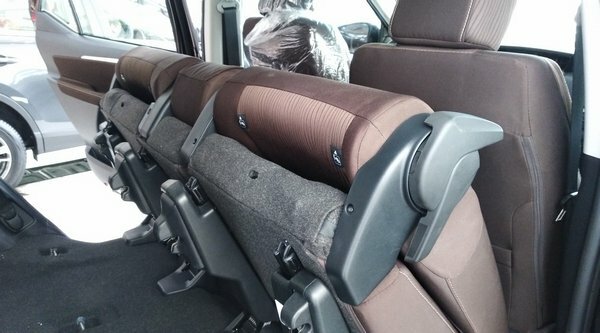 The middle seat’s backrest hides a center console that swivels down into a sort of armrest, and has two spring-loaded cup holders at the end. Third-row seats are also supportive, with ample legroom and seatbelts for safety. For cargo carrying duties, these fold forward and then to the sides, freeing up space for anything from the week’s groceries to a weekend’s worth of camping gear. 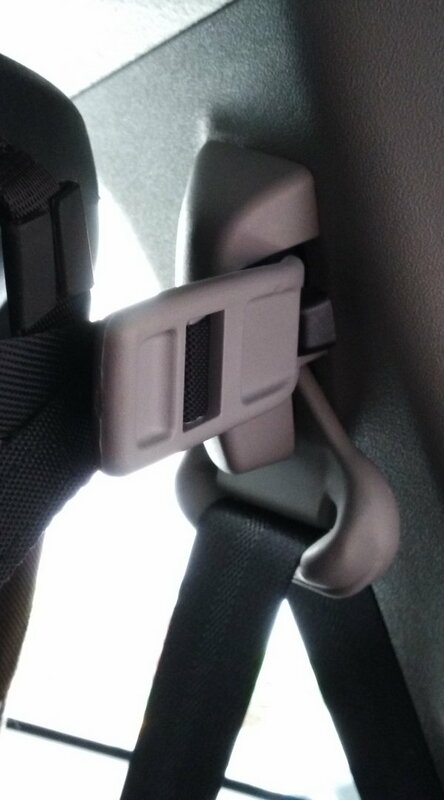 The folded seats can be latched to an anchor point at the rear seatbelts, to prevent them from accidentally falling over. 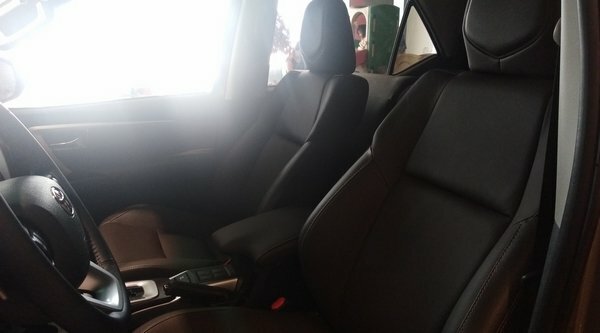 It’s a similar setup to the previous Fortuner, and I feel that this needs further improvement, mainly because bulk of the folded seats still takes a significant amount of functional space that would have been otherwise available with a fold-flat setup. 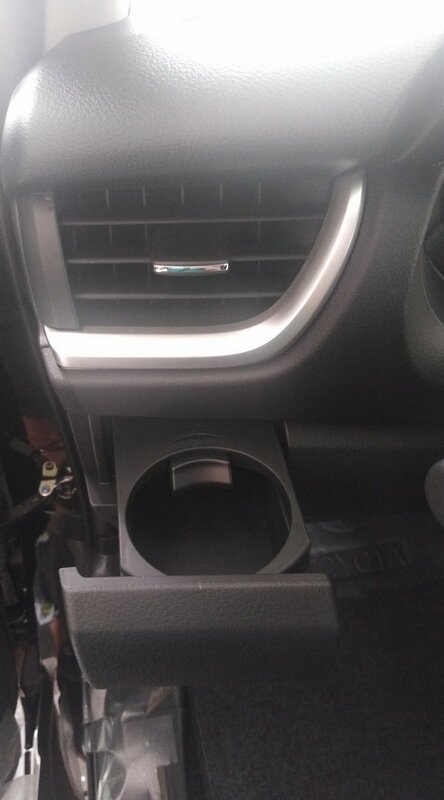 The Fortuner V variants come standard with a power tailgate that you can open with one press of the button on the key fob, and then close using a button on the edge of the door itself. The only downside is that it doesn’t have a hazard sensor that stops it when it detects an object or person in its path. When closing the tailgate, make sure that nothing or nobody is standing in the way, or else they will definitely get pinned by that heavy metal and glass door. In-car entertainment is taken care of by a 6.5-in. 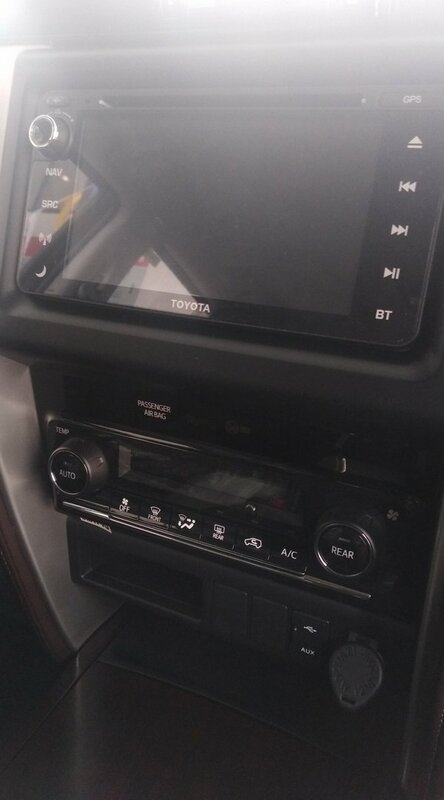 touchscreen display, offering a radio tuner, CD/DVD playback, USB and auxiliary ports to plug in your devices. 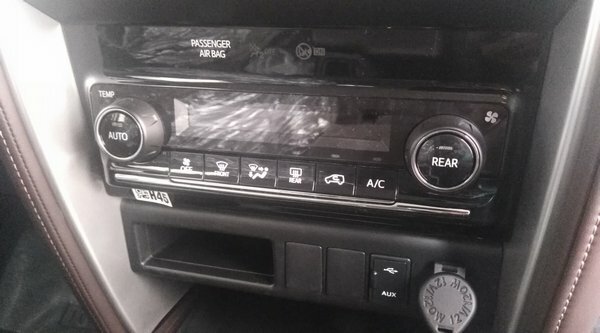 Bluetooth connectivity lets you answer calls hands-free and stream multimedia content, and you can hear everything on the six speakers spread throughout the cabin. 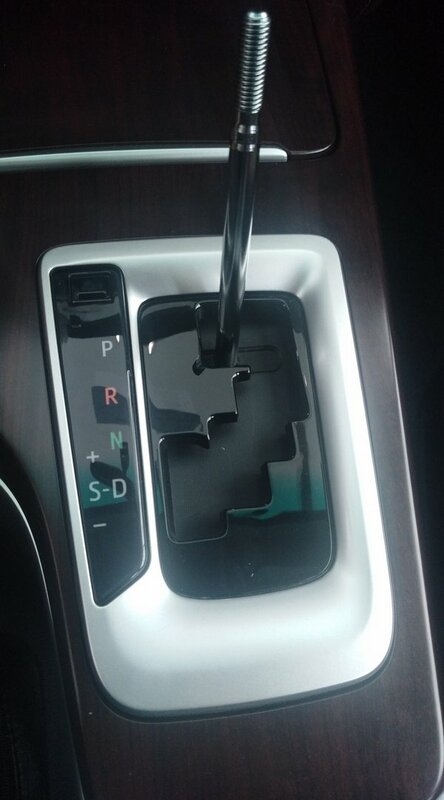 More importantly, all variants come with navigation software loaded onto memory cards, ready to use. All in all, the interior feels premium enough in terms of aesthetics and convenience. 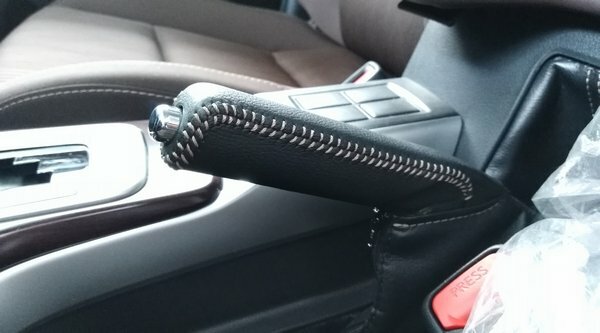 There’s an abundance of leather inserts on the dashboard, combined with aluminum inserts on the door panels; I was only a little disappointed to find faux wood trim still alive, right around the shifter. 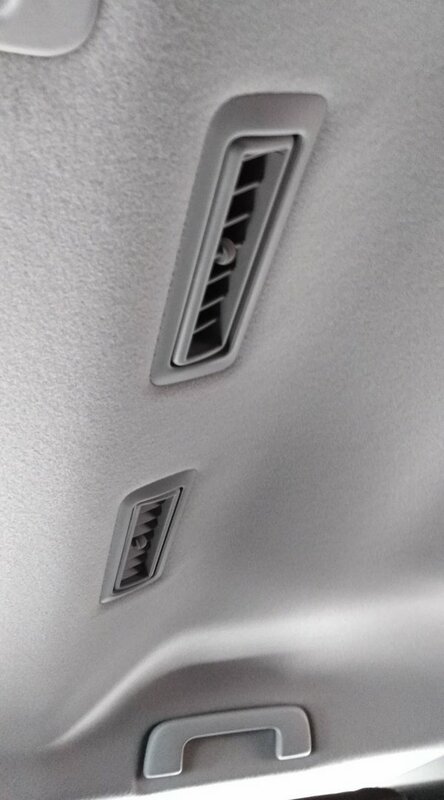 As in newer SUVs, air conditioning vents are present for all passenger rows, delivering cool air at a touch of the automatic climate control up front. 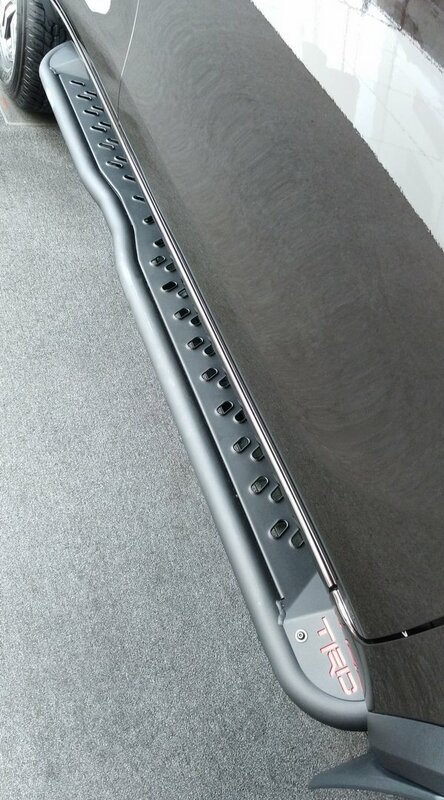 Each row even has its own 12V power socket, ensuring that your devices will last on that long weekend drive out-of-town. 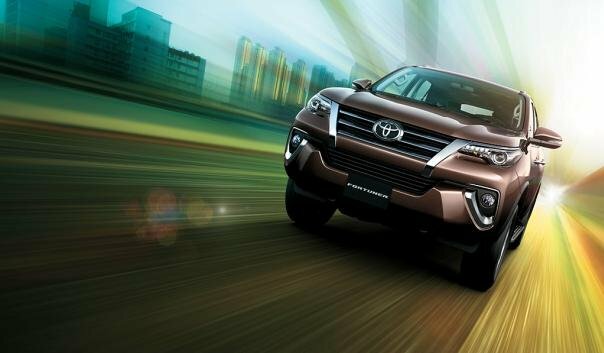 The current generation Fortuner lineup offers a choice of two powerplants. But with diesel being a dominant choice for most SUVs these days, only the base G variant gets the gasoline engine under the hood, a 2.7L dual VVT-I DOHC 16-valve heart that pumps out 163 hp and 245 Nm of torque, mated to a 6-speed automatic transmission. The next three variants up get a 2.4L 16-valve common rail turbodiesel mill, good for 147 hp and a significantly higher 400 Nm of torque, in a choice of either the automatic or a 6-speed manual. The top-spec Fortuner V gets an even more powerful 2.8L turbocharged oil burner, whipping out 174 hp and 450 Nm of torque, mated exclusively to the automatic gearbox. All diesel variants come equipped with Variable Nozzle Turbo (VNT), which is Toyota’s own take on turbine geometry that automatically adjusts its configuration or aspect ratio depending on the engine’s acceleration, maintaining efficiency and reducing turbo lag. 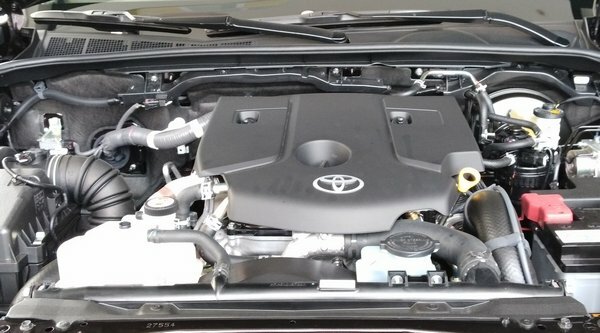 More importantly, all of the engines powering the Fortuner are compliant with Euro 4 emissions standards. In terms of drivetrain, most of the Fortuner lineup are available to the market as 4x2 vehicles, while the top-spec Fortuner V is the only one offered in 4x4, making it your likely choice if you prefer spending your weekends conquering trails and crossing rivers. 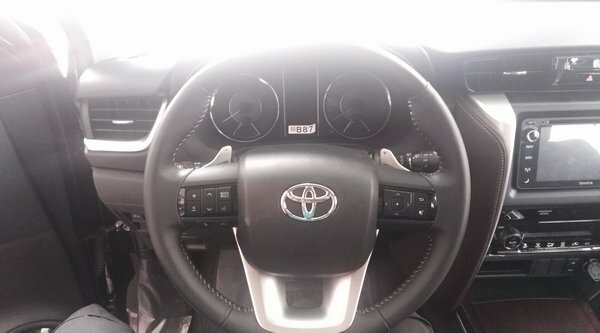 Driver and passenger airbags (including knee ones) are available on most of the Fortuners in the lineup, with the 4x4 V one-upping this with additional side and curtain airbags. Antilock brakes with electronic brake force distribution is standard across the range, as are child protection locks. Front, rear and corner sensors are standard from the Fortuner V 4x2 upwards (including a rear parking camera), while the Fortuner V 4x4 has the most comprehensive list of driver aids available for this model, including vehicle stability control, active traction control, hill start assist, trailer sway control, brake assist, downhill assist, and a differential lock for serious off-roading forays. A wide range of accessories are offered for the Fortuner, so you can still get a hold of your budget by getting a base model and then dressing it up according to your preference. Whether it’s a purely cosmetic addition (chrome side mouldings, chrome covers for the external lights) or functional enhancements (rear cameras, louder horns, roof racks), there are a lot of ways to make your own Fort stand out on the streets. 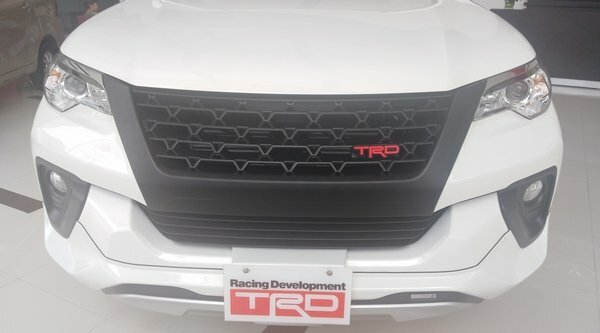 There’s also the TRD line, for when the stock Fortuner just isn’t sporty enough for the new owner. 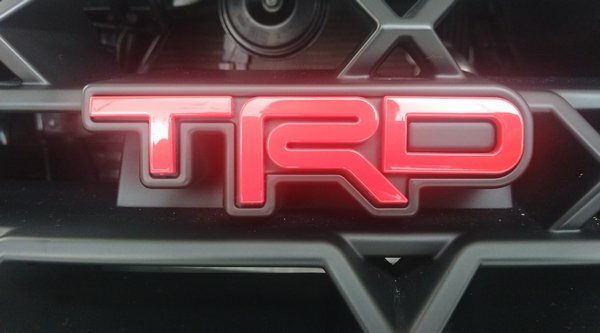 There’s the blacked-out TRD grille for instance, which looks better than the standard grille if only for its understated color, save for the red TRD badge on the lower right corner. 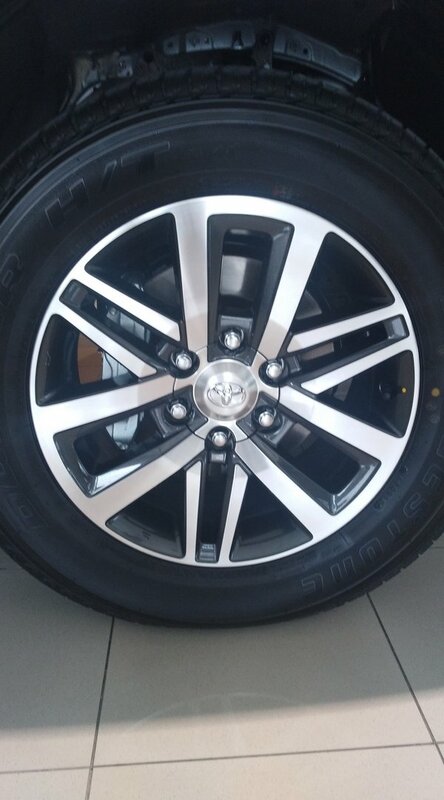 There are also TRD alloy wheels to give your Fort a more aggressive stance, coupled with stepboards for ease of ingress and egress. If you’re balking at the idea of getting these options piecemeal, Toyota is offering a special Fortuner TRD 4x2 that has all of these accessories in one go. The base model 4x2 2.7L G gasoline variant with the automatic transmission starts off at P1.597M. The 4x2 2.4L G diesel manual dipping just a bit lower at P1.592M, with the automatic variant climbing up at P1.682M. 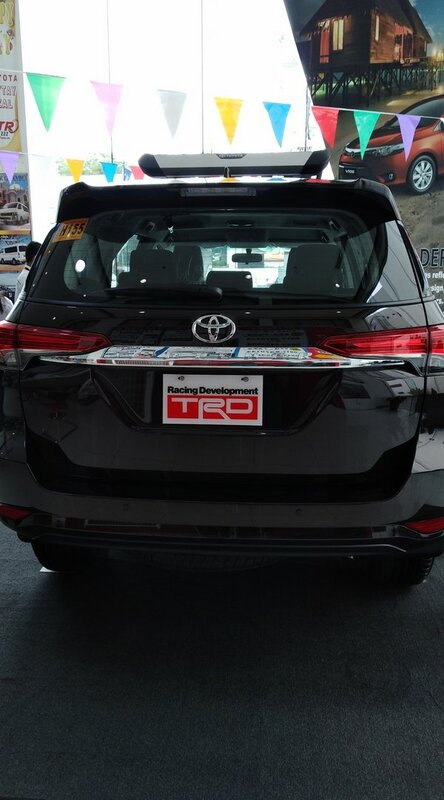 The special TRD edition goes for P1.776M, while the 4x2 V diesel automatic will set you back P1.906M. If the sky’s the limit, you can spend P2.245M for the top-of-the-line Fortuner V 4x4 2.8L, complete with trail-conquering bragging rights. 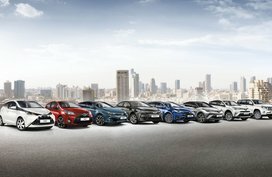 Most of these variants are available in a range of colors such as Silver Met, Grey Met, Phantom Brown Met, Freedom White and Attitude Black. 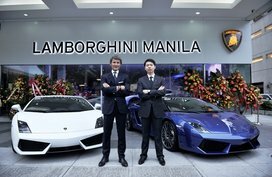 A special White Pearl color entails an additional P15,000 premium. 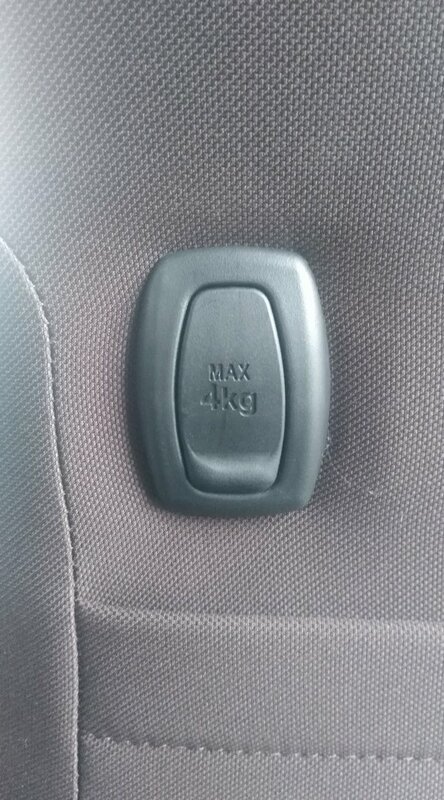 Are there any issues I might deal with regarding a diesel car after some time, let’s say 5 years? The belief of legendary Toyota reliability is still pretty much pervasive when it comes to the company’s more contemporary models, and the Fortuner is no exception. They do offer a 3-year/100,000km warranty on the Fortuner, so there’s that relative peace of mind whether you go for a gas or diesel. 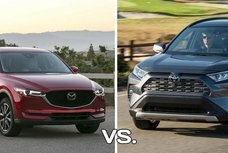 I’ve posed the question to the Toyota agents have spoken to, and they all sing Toyota’s praises in terms of maintenance (but of course). 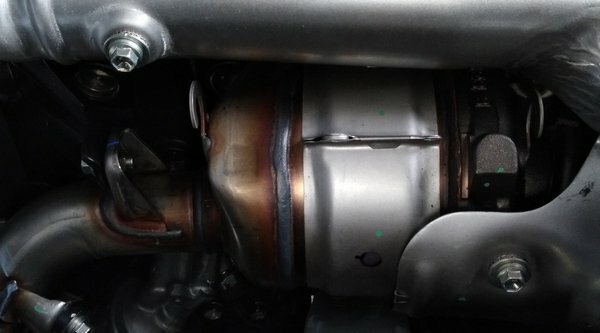 There would be a variety of minor issues I can enumerate that are applicable to both the gasoline and diesel cars in general (failing radiator fans, airconditioning losing its cool), but probably the most relevant for diesel would be the high-pressure fuel injectors, especially if you tend to gas up in remote fuel stations of questionable quality. There’s a precedent after all, particularly when the first generation Fortuners and Innovas were launched; some of the D-4D engines that came with them had faulty fuel injectors that were easily clogged when they took on fuel from the tank, and as it happens, they couldn’t be replaced under warranty (and they weren’t exactly cheap to begin with). But that’s all in the past, or so we would all like to believe; I haven’t heard of any diesel-related problem on late-model Toyotas recently. It all depends on how often you’ll be driving your Fort, the kind of diesel fuel you’ll be using, even how religiously you’ll send in your unit for periodic maintenance. The good thing is, you won’t have to go it alone, with Fortuner owners banding together forming dedicated clubs to share, discuss and find solutions to problems as they come up. When you do decide on the 2018 Toyota Fortuner diesel automatic Philippines of your choice, it definitely wouldn’t hurt to look them up. Thanks for following Philkotse, and good luck on your purchase!